KT-ONB12 optical base station suitable for HFC network structure that use EOC technology to carry data traffic, the platform can integrate 1 EOC central master, 1 data network optical network terminal (ONU) and 1 optical receiver, each module unified backplane switching technology management and can be flexibly combined; compatible with various EOC Technology, Internal EOC signal splitter. 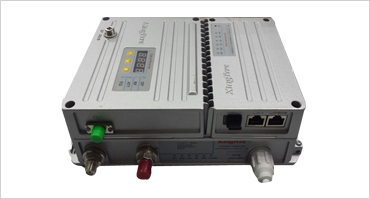 The ultra low power receiving of KT-ONB12 series optical network base makes the network design is very flexible and can meet the needs of FTTB and fiber to the unit. The product has high receiving sensitivity, high output level, high SNR and high price-performance-ratio, as well as smaller size and lower power consumption, so that the product can up to 108DbµV/9Db equalization, local and remote network management can set equalization and level attenuation. KT-ONB12 series optical network base adopts aluminum die casting, excellent heat transfer path design, ideal for harsh environments, the various functional modules, each module uses thermal heat conduction to the whole platform shell, reducing the machine temperature, so that machine work more stable.